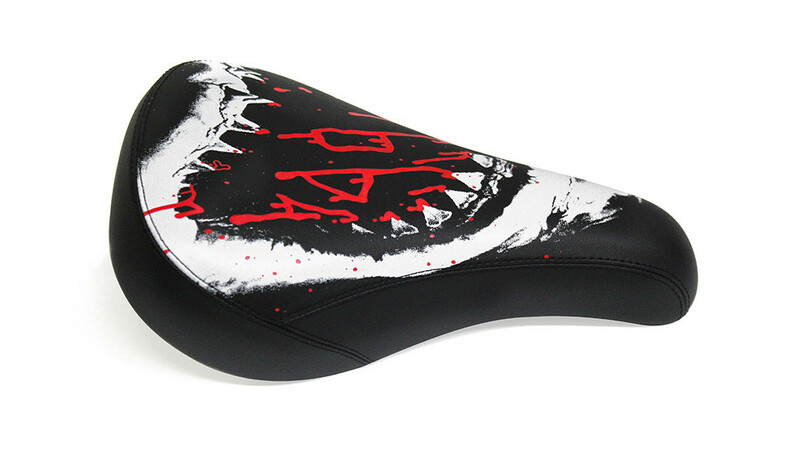 1664 Shark Pivotal Seat, featuring a comfy fat padding and sweet shark print! This seat uses the Tripod seat system which works with Tripod seat posts. One look at this print and you’ll definitely agree, we’re going to need a bigger boat!